Eat Dallas: Absinthe Makes the Mind Go Wander! Absinthe Makes the Mind Go Wander! The green goddess aka absinthe strikes us with notes of dark, sultry lustfullness. It conjurs up imagery of smokey turn-of-the-century French cafe's, filled with artists and poets, sipping on opalescent green liquid while drifiting in and out of lucidness. Absinthe has seen a recent rise in popularity and Dallas isn't missing out on the trend. On a record-breaking hot North Texas day, all you want to do is slip into something cool, green, and, milky? 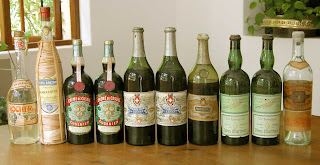 Absinthe, originating in Switzerland, was the alcoholic drink of choice for the bohemian culture of the late 19th and early 20th-centuries, particularly among artists and writers of the Parisian persuasion. 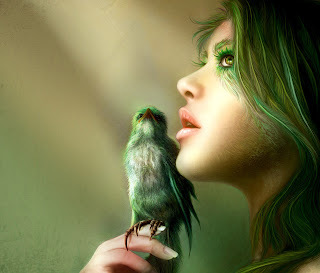 Some of the more “colorful” and well-known patrons of the “green fairy” include Charles Baudelaire, Paul Verlaine, Arthur Rimbaud, Henri de Toulouse-Lautrec, Amedeo Modigliani, Vincent van Gogh, Oscar Wilde, Pablo Picasso, Ernest Hemingway, and Aleister Crowley. 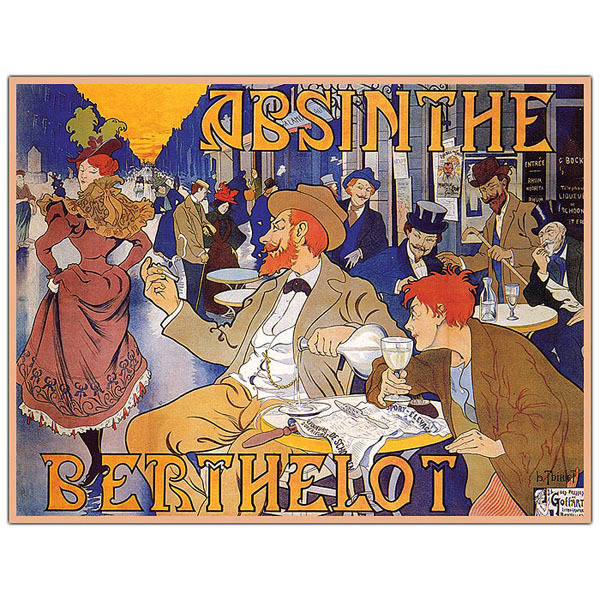 Absinthe is a distilled, highly alcoholic (90-150 proof) beverage, with an anise-flavor (similar to ouzo) derived from herbs such as green anise, sweet fennel, and wormwood. 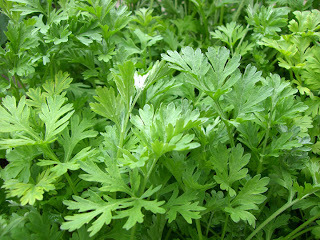 These herbs give the drink its signature green color. 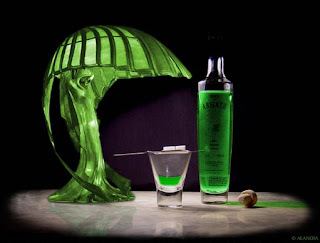 Absinthe’s reputation as a mysterious, addictive, mind-altering drink, with an unnatural green glow, that causes a sense of euphoria and mind-bending hallucinations, is infamous. 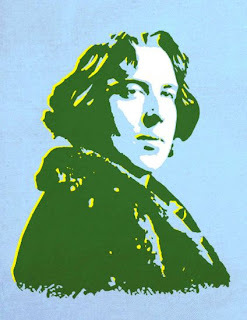 In one of the more notable accounts of absinthe intoxication, Oscar Wilde described the feeling of having tulips on his legs after leaving an absinthe bar. 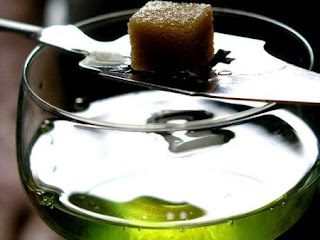 It’s now known that absinthe doesn’t actually have any hallucinogenic properties, although it’s been described as having a mind-opening effect, or a "clear-headed" feeling of inebriation; a "lucid drunkenness" if you will. 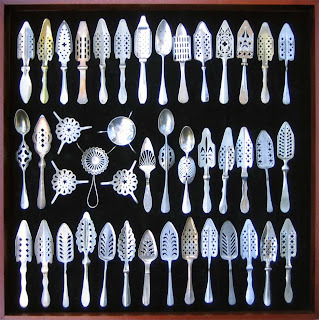 This is caused by some of absinthe’s herbal compounds which act as stimulants, while others act as sedatives, creating an overall lucid effect of awakening. The chemical thujone, which can cause severe renal failure, muscle spasms, and seizures, is found in wormwood, and has been blamed for absinthe’s alleged harmful effects. 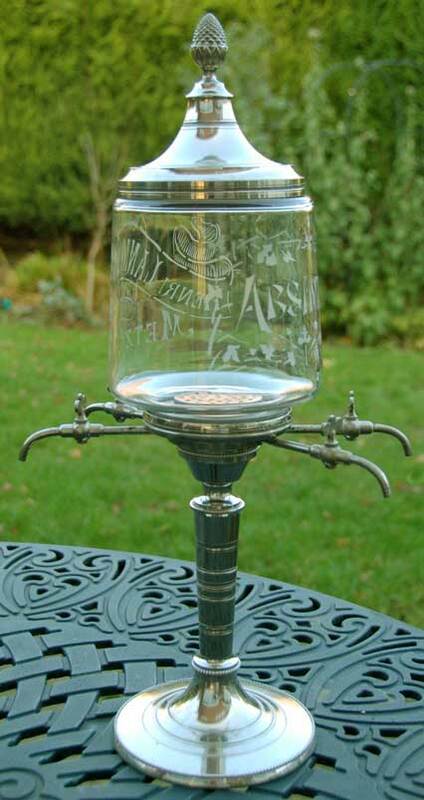 By 1915, absinthe had been banned in the United States and in most European countries. Although it was vilified, it has not been shown that it’s any more dangerous than ordinary alcoholic spirits. Consequently a revival of absinthe began in the 1990s, when countries in the European Union began to reauthorize its manufacture and sale. 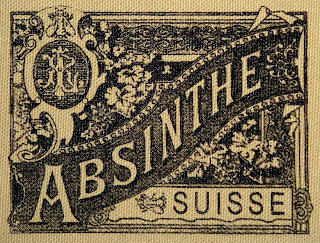 In 2007, the Alcohol and Tobacco Tax and Trade Bureau lifted the absinthe ban, and has approved many brands for sale in the U.S. As of February 2010, over 200 brands of absinthe were being produced in more than a dozen countries. 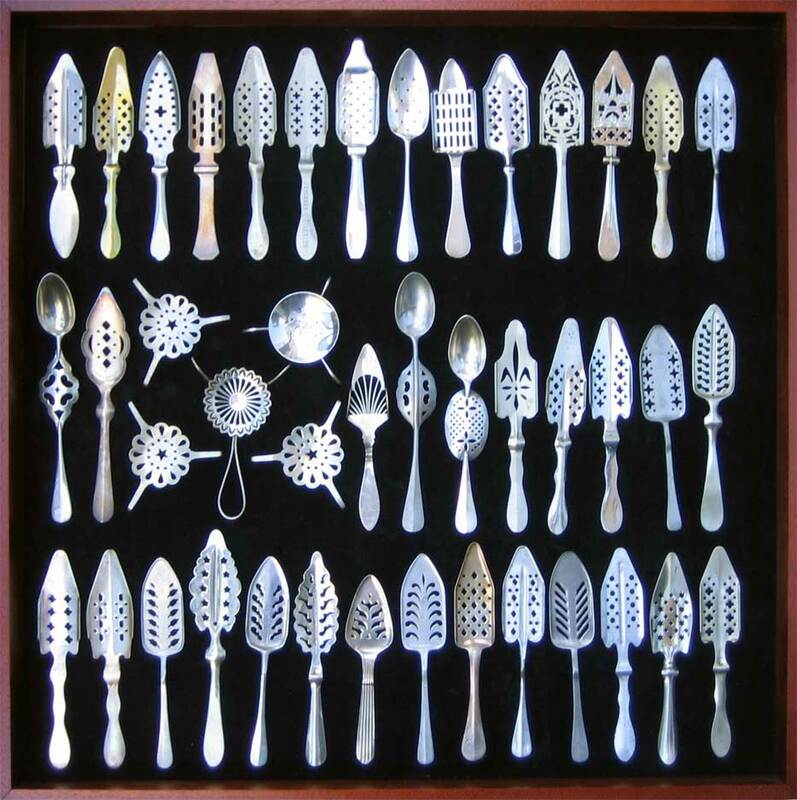 Traditionally, absinthe is prepared by placing a sugar cube on top of a specially designed slotted spoon, placing the spoon on a glass containing absinthe (glasses specifically made for absinthe had a dose line, bulge, or bubble signifying how much absinthe should be added). 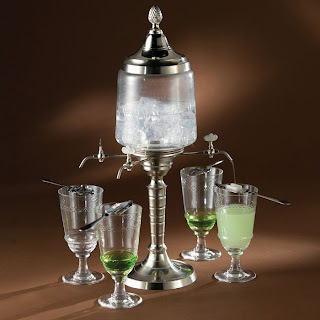 Ice-cold water is then dripped from an “absinthe fountain” over the sugar cube and the water is slowly dispersed into the absinthe, typically 1 part absinthe and 3 to 5 parts water. 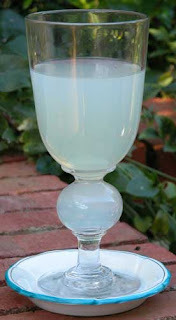 Absinthe’s non-water soluble components give it a milky opalescence called the louche (French for "opaque" or "shady"). Releasing these components brings out the herbal aromas. This preparation is often referred to as "The French Method." 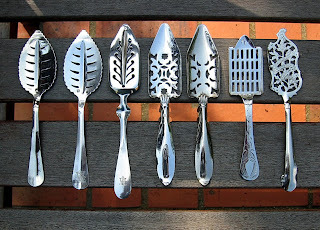 "The Bohemian Method," uses a sugar cube on a slotted spoon, like the French Method, but the sugar is pre-soaked in absinthe, and set on fire. 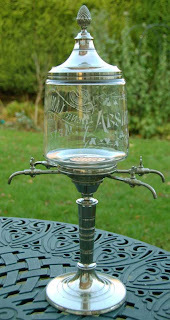 The flaming cube is dropped into the glass igniting the absinthe. Finally, a shot of ice water is added to put out the flames. A variant of "The Bohemian Method" is to let the flame burn itself out. 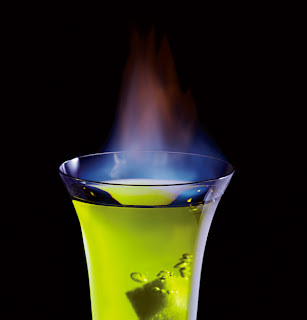 This is called "Cooking the Absinthe" or a "Flaming Green Fairy," and removes much of the alcohol. 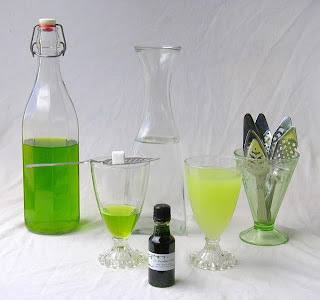 Absinthe has been a common cocktail ingredient in the United Kingdom and the United States, and continues to be a popular in artisanal cocktails. 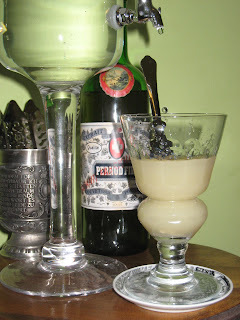 Ernest Hemingway's "Death in the Afternoon" recipe says to "pour one jigger absinthe into a Champagne glass. Add iced Champagne until it attains the proper opalescent milkiness. Drink three to five of these slowly." The drink’s name is certainly apropos! 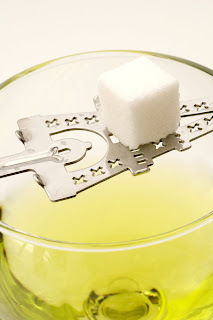 Dallas is fortunate enough to have a variety of establishments that serve absinthe and each has its own unique feel and renditions of drinks using the “Green Fairy”. Absinthe Lounge - 1409 S Lamar St. Dallas, TX 75215 Phone: (214) 421-5500 – In the South Side residents, Absinthe Lounge feels like an old Rat-Pack Manhattan or Chicago subterranean speakeasy. Lit by Tiffany-style stained glass lamps, DJ’s play on the weekends. Very funky! Bar Celine - 1921 Henderson Ave. Dallas, TX 75206 Phone: (214) 824-3343 - Behind the now defunct “Park” on Henderson, Bar Celine has recently been acquired by the owners of The Capitol Pub. The signature “Absinthe Ballot”, a gin-based based drink with muddled cucumber, violet liqueur, and absinthe is worth a try. The Libertine Bar - 2101 Greenville Ave. Dallas, TX 75295 Phone: (214) 824-7900 – Great lower Greenville hot spot. They serve well-made, strong cocktails and great food. Tuesdays is ½ price food night! Voted “Best Bar in Dallas” several time by the Observer. The Meridian Room - 3611 Parry Ave. Dallas, TX 75226 Phone: (214) 826-8383 – At this Exposition Park bar, Wednesdays are ½ price food nights (try the Jalapeno soup and the Cuban sandwich!). With the State Fair looming large on the horizon, this would be a great place to begin or end your Fair affair with a dram of the Green Fairy. Toulouse Café and Bar - 3314 Knox St. Dallas, TX 75205 Phone: (214) 520-8999 – Named after one of the more famous imbibers of the green opaline, Toulouse serves up some decent casual French fare and offers absinthe at the bar. Victor Tango's - 3001 N Henderson Ave. Dallas, TX 75206 Phone: (214) 252-8595 - Sazerac, a New Orleans drink from the early 1800's, and the Corpse Reviver #2, made with Gin, Lillet, Cointreau, lemon juice, and absinthe – ‘nuff said! 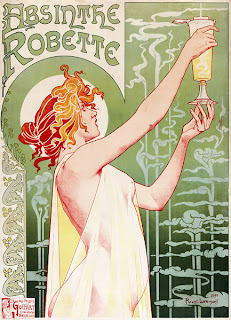 For more in depth information on absinthe, its mystery, and its history check out the Wormwood Society’s web page at http://www.wormwoodsociety.org/. They are a wealth of information on the subject. Go ahead and try some absinthe and let the malachite mistress help you commune with the artistic and literary visionaries of the past. Just make sure that you have a designated driver! Do they sell absinthe bottles here in Dallas? ?